Last year, after the adoption on February 15, 2015, by WM/Reuters of a five-minute window to calculate its 4 p.m. currency benchmark rates known as the “Fix”, we described a predictable pattern that emerged in currency trading around the Fix. As banks shifted toward agency style execution during the new five-minute Fix window, the systematic concentration of demand imbalances created strong momentum in rate changes throughout the Fix window, followed by a marked reversion. 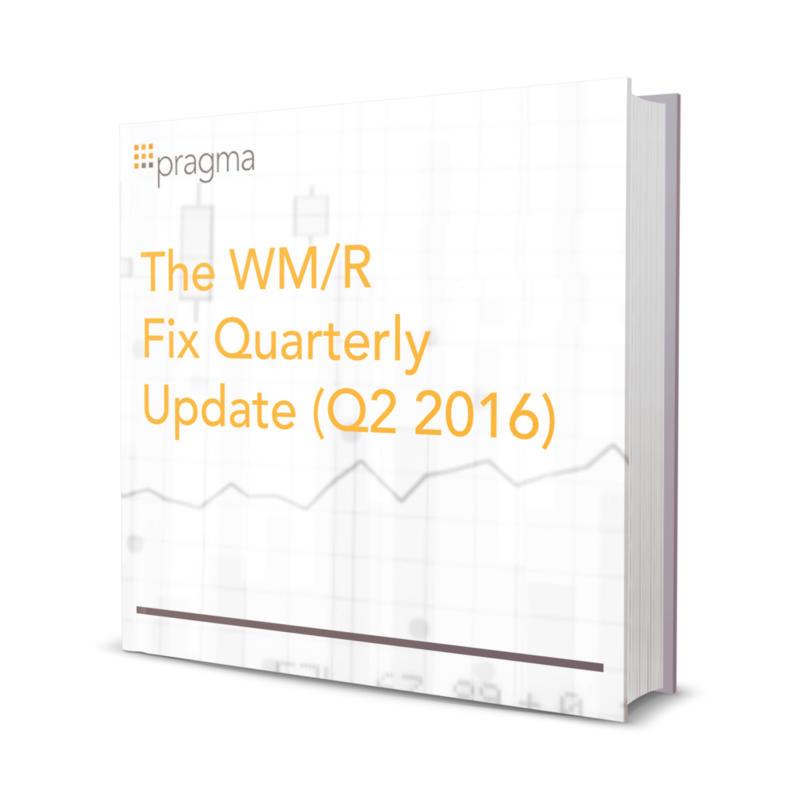 Pragma subsequently deployed SmartFix, an execution algorithm that leverages the pattern to achieve better execution for firms targeting the WM/Reuters benchmark. In this update, we note that the tradable pattern persists into Q2 2016, although the pattern continues to weaken, particularly on ordinary days.